As we make the transition from Millennium Development Goals (MDGs) into the new Sustainable Development Goal (SDG) period, global health and development has been a hot topic in international discussion forums and in daily media coverage. Much of this news coverage has been shrouded in political debate surrounding the ongoing migrant and refugee crisis in Sweden, Europe and the rest of the world. Taking politics aside, welcoming people into new communities connects each and every one of us and for many people has brought global health much closer to home. With the worldwide challenges highlighted by the 2015 SDGs and migrant health being new on the agenda, raising public awareness is a key priority. 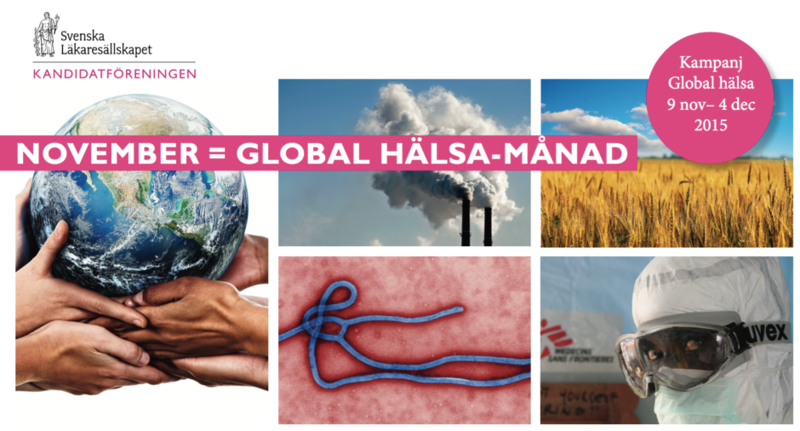 The medical student and junior doctor section of The Swedish Society of Medicine (Svenska Läkaresällskapet) has done just that with the Global Health Month initiative. This campaign throughout November set out to increase the knowledge and interest in global health and aimed to provide opportunities for collaboration in future projects. Through cooperation with medical faculties and organisations many events, including seminars, lectures and film screenings, have taken place across medical schools in Sweden. At the SOGH, we kick started the month with the inaugural Global Health Night. 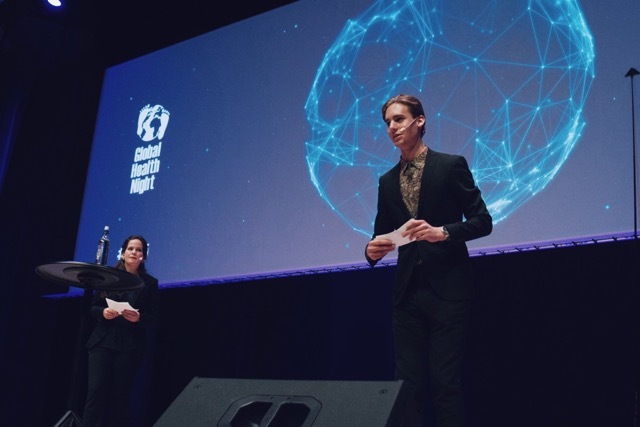 The idea for Global Health Night was first introduced back in the spring by a group of students and members of the SOGH across different university programmes at Karolinska Institutet (KI) who were eager to increase their exposure to global health. Within six months, SOGH had brought together an organising team including the Centre for Global Health at KI, Institute for Indian Mother and Child (IIMC) and the International Federation of Medical Students Association (IFMSA), whilst also securing funding from the board of Higher Education at KI and the European Year for Development. Together this broad spectrum of people and organisations hosted the largest event in the Global Health Month. At the beginning of the evenings students were given the opportunity to mingle amongst active and engaging groups within the field. Representatives from SIDA, UNICEF, RFSU and The Red Cross joined us along with many other organisations and provided insight for students into potential global health careers. The hosts for the night, Daniel (Vice Director SOGH) and Emelie (Vice President IIMC) took to the stage to introduce the first speaker – Helena Nordenstedt. Having recently returned from the Ebola crisis in Liberia and Guinea, Helena described her transitional career as a doctor, researcher and now active clinical member of Médecins Sans Frontières. For many of us, this was an incredibly inspiring and motivational talk and made our future career aspirations seem more feasible to achieve. Next to speak was Johan Lundin presenting his innovative MoMic and the WebMicroscope. Both represent remarkable advancements in rapid diagnostic microscopy and will be particularly useful in the detection of malaria in resource scarce areas. Another talk came from Kristina Ljungros who described her work with RFSU towards gender equity and sexual-reproductive rights. Dileep Mavalankar, the director Director of the Indian Institute of Public Health, spoke passionately and entertained the audience with his light-hearted comparisons between Indian and Swedish maternal healthcare. He presented the ongoing work in India aimed at improving the management of obstetric care in rural India through changes in health policy, the introduction of cash based incentives to women birthing in health care institutions and the initiation of partnerships between the public and private sector. Video streams of all the presentations are available on YouTube. 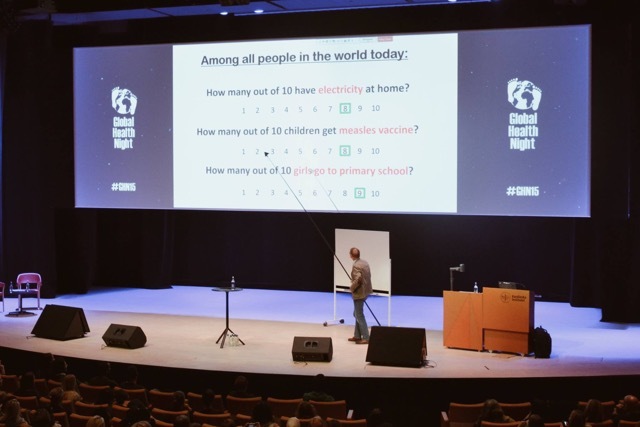 Hans Rosling’s speech for the night described how globally we have now moved out of the ‘dark ages’ from a world where only the rich have access to electricity and only few girls go to school, to a world where 8 out of 10 have electricity and 9 out of 10 girls complete primary education. There is clearly still much more to be done throughout the new SDG period, but Professor Rosling’s main point was to demonstrate how poorly we understand the world we live in today – mainly due to influence from the press and media. I’m sure by now everyone has seen the interview with Hans and a Danish broadcaster in which he concludes “I am right, and you [the media] are wrong”. Media is a powerful force in educating and influencing people. Fanzingo, an NGO based in Stockholm understands this and harnesses it to fulfil their vision and goals – empowering children from diverse backgrounds with media skills. They aim to diversify the Swedish media industry and tell stories from different perspectives – often media is produced by the same people with the same opinions. Fanzingo incorporate different people from varied backgrounds into each project and collaborated with us during GHN15 to produce the video below. Our World AIDS Day 2015 event marked the closure of Global Health Month. This year’s focus was on ending the AIDS epidemic by 2030. According to the UNAIDS Fast-Track report, without a rapid scaling up of prevention and treatment the we will undoubtedly enter a resurgence of the epidemic. To do this we must eliminate the stigma associated with HIV/AIDS and work towards zero discrimination in the 90-90-90 targets. Video and film are one of the most effective methods to engage and inform the general public about HIV prevention while simultaneously addressing stigmatisation. At our WAD15 afternoon dedicated to video media, we screened a number of films ranging from Ugandan condom promotions to TED talks. One particularly controversial issue seen to was the purchasing of fake HIV test certifications in sub-Saharan Africa. The event concluded with a short film from the Face of AIDS Film Archive at KI. The collection is a unique record of HIV/AIDS history over 30 years and includes over 700 hours of footage. The goal of the archive is to create a web-based film archive for teaching, research and information dissemination – the first visual history of an epidemic. The film screened at World AIDS Day was a raw and particularly emotional window into the epidemic at the time of discovery when little was known about the disease, and most of those who contracted the virus faced certain death. Looking back at this footage really stressed how far we have progressed in the fight against HIV, yet crucially it also reminded us of the importance to continue efforts in combatting the disease and end the AIDS epidemic in the next 15 years. Global Health Month has been a huge success and a fantastic initiative to be a part of at SOGH. Plans for GHN16 are already in the pipeline and we hope to make it even bigger and better than 2015. We are at a pivotal time in the global health world, the challenges of ongoing instability in the Middle East, migration and climate change have began to grab the attention of politicians, and are forcing them to realize the fact that we need to adopt change. Last week the COP21 agreement was finally signed, hoping to end the fossil fuel era and marking the most important climate change deal of our lifetimes. World leaders are finally starting to listen and act upon external pressures, and perhaps COP21 is a positive sign that the SDGs are attainable or that the AIDS epidemic can be ended. Together with the public, students, healthcare workers, media, organisations and politicians can continue to work towards improved global health and raise awareness of the challenges we face throughout this new era of international development. Photography by Gustaf Drevin and Ellen Lindgren.